Brothers are forever. 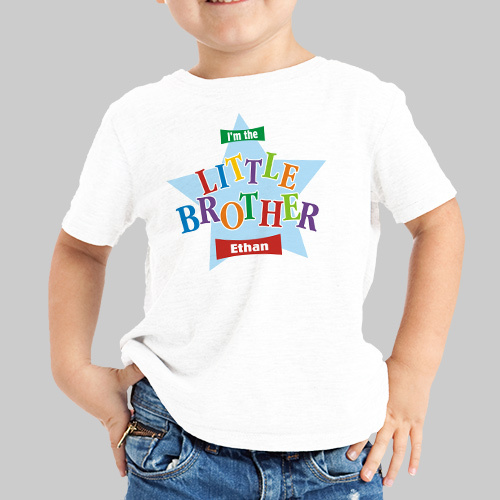 Your little boys will look handsome in their own Personalized Brother T-shirts. Our Personalized is available on our premium white 100% cotton T-shirt, machine washable in youth sizes S-XL. Shirts are also available on Ash Gray. Gifts for the brothers includes FREE personalization! Personalize your with any brother's name and please specify little brother, middle brother or big brother. More for my daughter than for my grandson who will be a big brother in 5 months.